Banner 9 is here! Review this page for resources and FAQs related to this important Banner change. When is Banner 9 going live? It is live right now! Go to banner.uca.edu, and then under Banner 9, click Admin Pages [PROD]. This is the live production of Banner 9, and you can start using it now to complete the normal tasks you do in Banner. You can use both Banner 8 and Banner 9 together during this transition period. When does Banner 8 go away? UCA will migrate completely from Banner 8 to Banner 9 in August 2018. However, some offices are choosing to migrate to Banner 9 sooner than this date. If you have questions, ask your department head. Banner 9 is the most up-to-date version of the system. It is web-based (rather than Java-based), positioning UCA to best utilize the system in the years ahead. 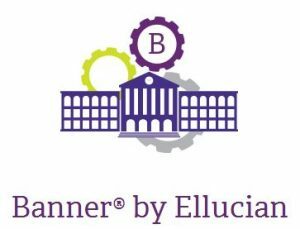 In addition, Ellucian will be ending support for Banner 8 at the end of 2018, which means UCA must upgrade to Banner 9 before this time. Unlike Banner 8 that required Internet Explorer, most major browsers should handle Banner 9 without issues. IT recommends Google Chrome for the best performance. Why don’t my keyboard shortcuts work in Banner 8? Some keyboard shortcuts in Banner 9 differ from Banner 8 because it opens within a web browser; for example, F5 refreshes the page in Banner 9, whereas it used to open menus in Banner 8. See the Keyboard Shortcuts list above in the Resources list. Why is Banner 9 running slowly? Until August 2018, Banner 8 and Banner 9 are running simultaneously and using the same database. Therefore, there could be slower performance during this transition period. IT also recommends accessing Banner 9 using the Google Chrome browser.